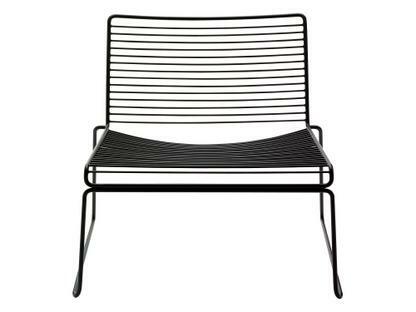 The HAY Hee Lounge Chair was designed by designer Hee Welling, and from whom the HAY lounge chair takes its name. 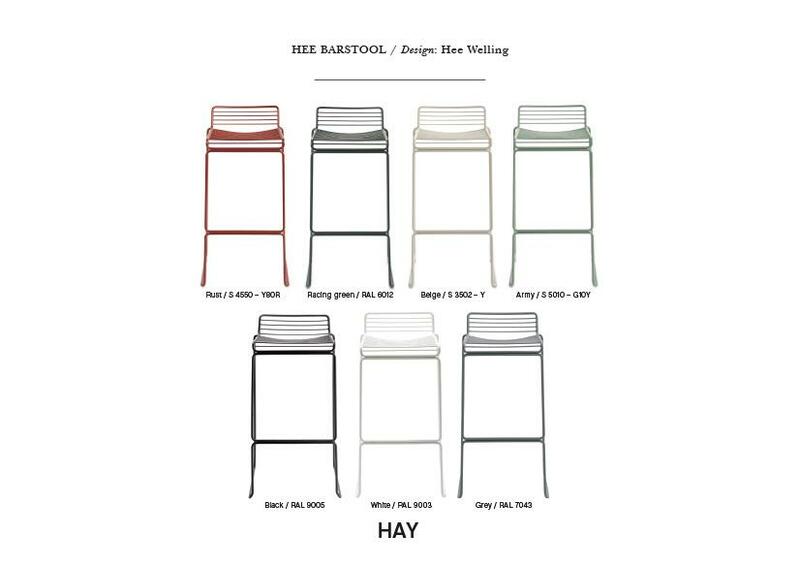 The chair is part of the Hee family, a family of chairs designed by Hee Welling with the declared aim of satisfying a range of different seating requirements. 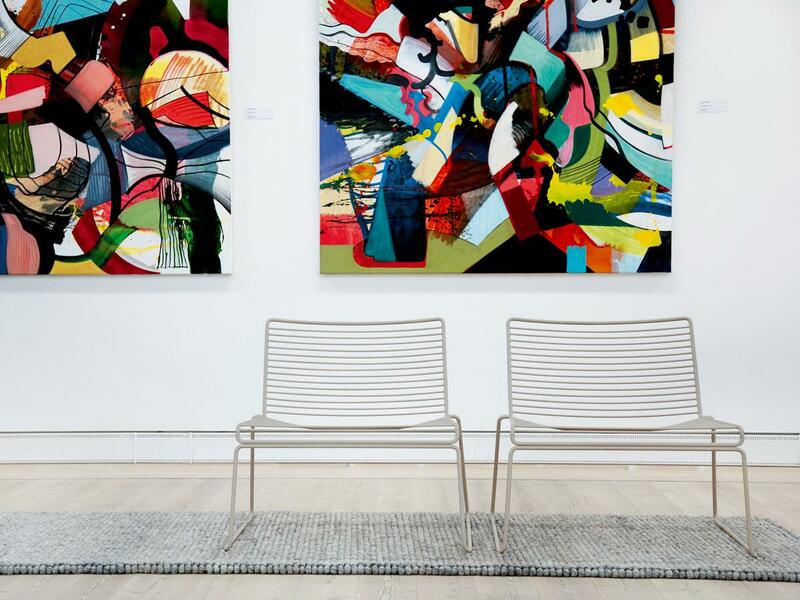 The Hee Lounge Chair belongs to the series of Hee chairs from HAY, and which all owe their name to their designer Hee Welling. 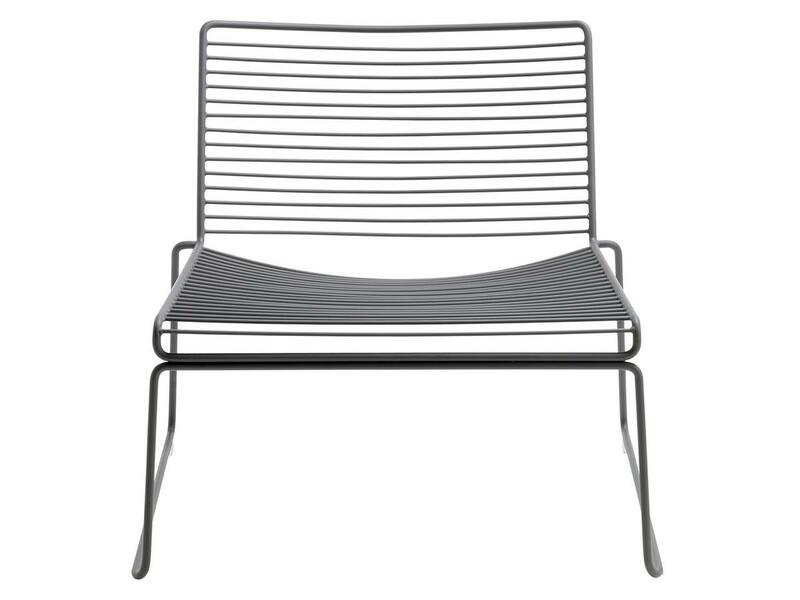 In the spirit of Scandinavian design the HAY lounge chair impresses with its clean lines and intricate, geometric shapes, in this case formed from galvanized steel. 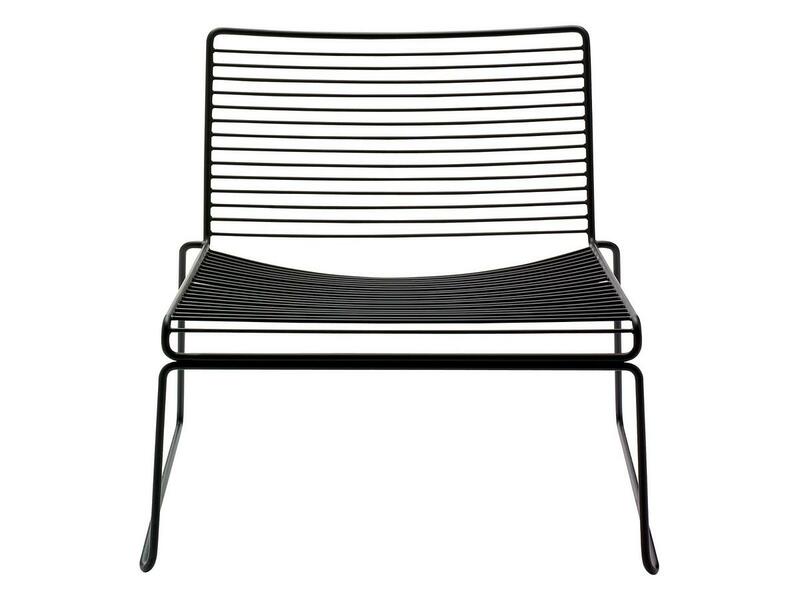 Unlike the Hee Bar Stool and Hee Dining Chair the Hee Lounge Chair has at 37 cm a relatively low seat height and is in the seat to backrest relation wider than other members of Hee family. 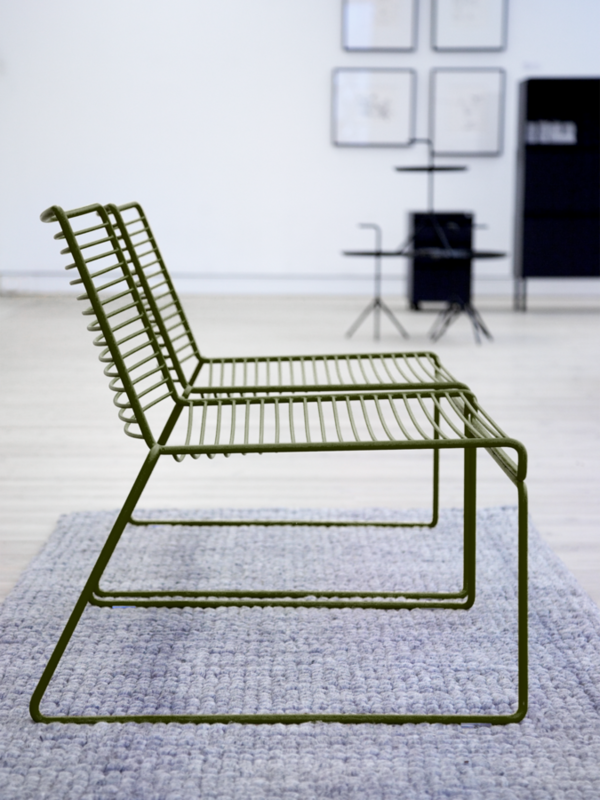 Since up to 15 chairs of this model can be stacked, the Hee Lounge Chair by HAY is a genuine space saver. 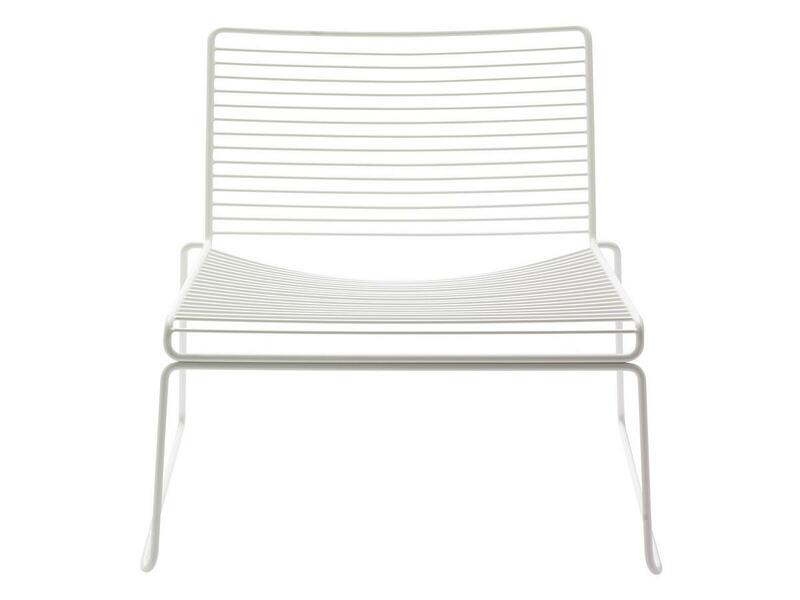 The robust material allows its use in residential areas, but also in the garden or on the terrace, where the chair with its reduced look is guaranteed to attract positive attention.